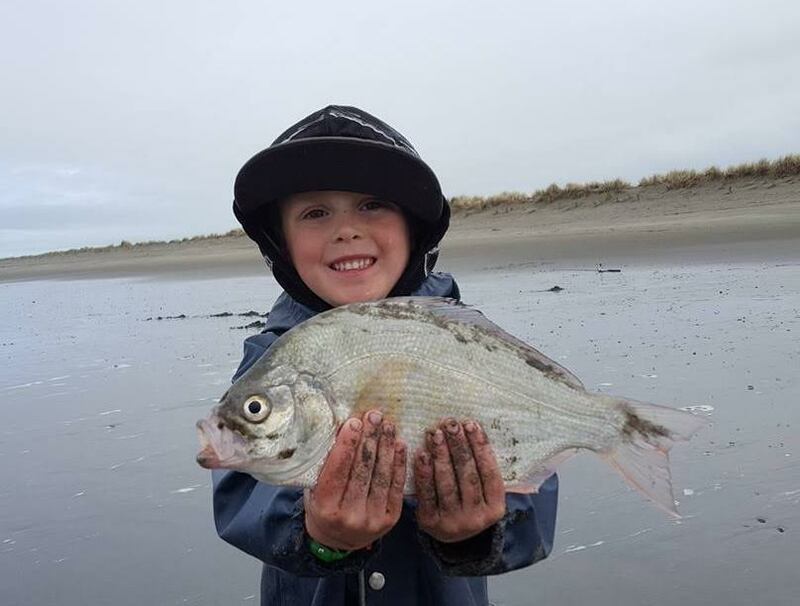 Four year-old Parker Blasi is all smiles after catching a nice Redtail perch on a recent trip to King Salmon beach. The Redtail perch bite has been excellent the last couple weeks, with Samoa King Salmon, and Dry Lagoon being some of the better locations. It appears this steelhead season is going to end much like it began. 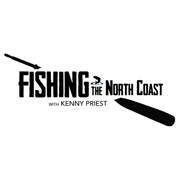 All of the coastal rivers, other than the Smith, are currently high, muddy and not fishable. And more storms are lined up offshore. I swear I’ve written that same sentence about a million times since mid-January. But here we are in late March, with roughly a week left before most of the rivers close, still talking about high water and rain on the way. It’s been that kind of year, and let’s give thanks. Not only did we have plenty of water, we also had plenty of steelhead. When they were fishable, both the Smith and Chetco gave up some pretty good scores. The other coastal streams came into play only a handful of times, but they too fished very well. But now as the rain continues to fall and the rivers rise, it looks to be over for the South Fork Eel, Mad, Redwood Creek, and the Mattole. The Smith will remain open through April, and the main stem Eel is open year-round. It would be nice to get a couple more days on the river, but I’m not holding my breath. The annual HASA fundraiser dinner will be held Saturday, April 15, from 6 p.m. to 9 p.m. at the Arcata Community Center, 321 Dr. Martin Luther King Jr. Parkway in Arcata. Tickets are $25 for adults and $10 for children. Food will be provided by Ramone’s and some great items will be auctioned and raffled off. Tickets are now available from the following Eureka merchants: Bucksport Sporting Goods, Englund Marine, Pacific Outfitters, RMI Outdoors, W&W RV & Sporting Goods, and Mad River Tackle located in Arcata. For more information, email hasa6191@gmail.com. The recreational salmon season from Horse Mountain, Humboldt County south to the U.S. - Mexico border will open on Saturday, April 1. Between Horse Mountain and Point Arena, which includes Shelter Cove and Fort Bragg, the daily bag and possession limit is two salmon of any species except Coho. The season south of Horse Mountain will extend through various dates in April through Nov. The alternatives can be found at pcouncil.org and will be finalized by the council in Sacramento on April 6-11, and submitted to the NMFS for adoption by May 1. The main stem was starting to come around last weekend, but it’s now back up to 28,000 cfs on the Scotia gauge. It will take a couple weeks of dry weather for it to turn green, but that’s not in the foreseeable forecast. The main stem will remain open through April. The South Fork fished late last week and into Saturday all the way to the forks. Most boats landed between two to four fish, with some fresh bluebacks in the mix. On Wednesday, it was back up to 6,000 cfs and predicted to go higher with the storms coming. It closes on March 31 and is likely done for the year. Flowing at just over 5,000 cfs on Wednesday with more rain on the way, it probably won’t turn green prior to closing on March 31. The Mad was just starting to turn green on Saturday, but the rain put an end to that quickly. Quite a few fresh fish were reportedly caught on Saturday near the hatchery. With the river now back up to over 12 feet and more storms on the way, the chances of green water before is closes on March 31 are slim.